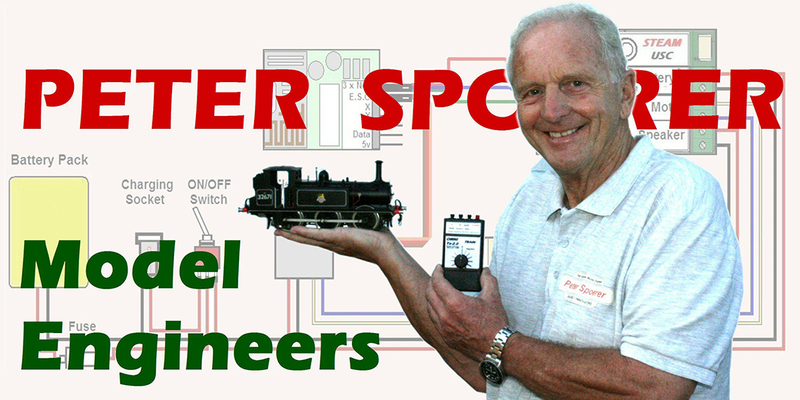 Peter Spoerer Model Engineers are makers and suppliers of radio control equipment and sound cards for model garden railways. Established in 1998 by a Gauge 1 modeller who recognised the lack of a coherent supply of suitable equipment for Garden Railways, Peter Spoerer set about sorting the problem. We now sell a comprehensive range of compatible electronic equipment especially designed and made for the discerning Large Scale Railway Modeller. As of the 1st. of January 2018, all my Radio Control and Sound Card activities have been taken over by Steve Foster of Fosworks. At the grand old age of 70, I have decided to retire from selling Radio control equipment and Sound cards. Steve has taken over my entire range of OMNI transmitters and receivers, and all my Sound Cards, Plug'N'Play systems etc., so if you would like a complete set of R/C equipment you must now contact him. Steve is a highly skilled and innovative technician who I know will carry on the business in the future superbly well. I will now become one of his agents! I would like to thank my loyal band of customers who have made my life so interesting and fulfilling over the last twenty years working in Gauge 1, and I hope you will give the same support to Steve. You can find Fosworks at fosworks.co.uk, or call on 01254 814675.